Come February, we are more than ready to escape our everyday lives for a brand new adventure. We can’t think of anything greater than planning a little something special around Valentine’s Day. Here are just a few of the best Valentine’s Day & February Hotel Deals to take advantage of. $379 per night – experience Valentine’s Day like you are in a real Hollywood rom-com. $329 per night – With incredible views of the strip from your room, you’ll soon be reminiscing about all the luxurious times you and your partner have shared. P.S. Don’t leave without visiting their spa. Enjoy a three-hour treatment at the luxurious spa at the Boca Raton Resort & Club, A Waldorf Astoria Resort with the eternity package. The treatment includes a 50-minute Himalayan Salt Stone Massage, 50-minute Rose Quartz Ayurvedic Facial, and 50-minute Natura Bisse Diamond Rose Scrub. Three-hour treatment for $569 per person /Nightly rates start from $317, valid only for the month of February. Date Night of Ping Pong With Your Stay! 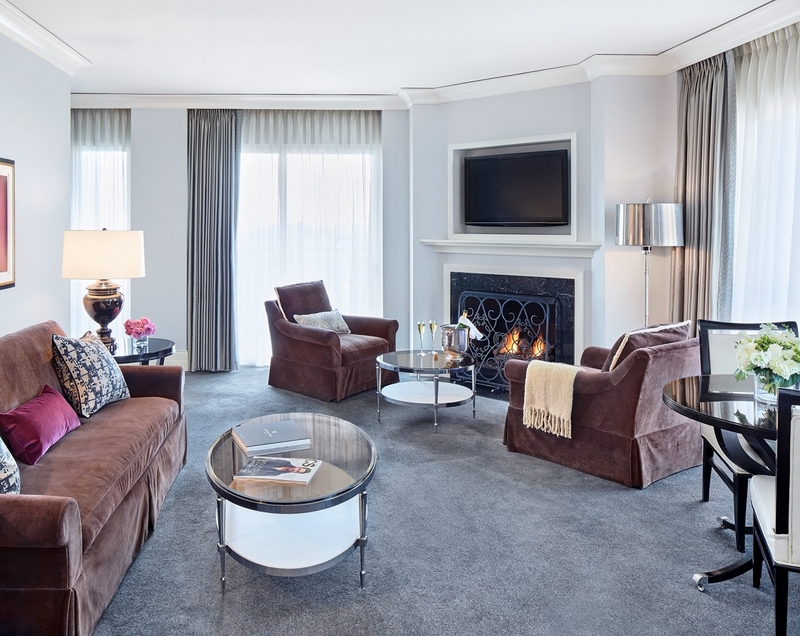 Starting Saturday, February 11, Hotel Chicago Downtown, enjoy a rate of $299 per night. This includes superior king or queen room, white chocolate-covered strawberries, limited-edition Valentine’s Day ping pong paddles, an hour of ping pong table time at SPiN, a glass of Champagne each and one shareable appetizer. Enjoy a glass of Veuve Clicquot and dessert, heart-shaped sugar cookies or chocolate-covered strawberries, one complimentary movie (per evening), 20% off a bespoke spa treatment where you can enjoy a Waldorf Lava Shell Couples Massage. Rates starts at $425 per night/Treatments booked for Monday through Thursday only. Michigan’s Art Coast, The Hotel Saugatuck, an 18-room luxury B&B for $239 per night (Two-night minimum stay). Not far from Chicago at Goldmoor Inn in Galena, enjoy the perfect romantic retreat at this luxurious B&B. One dozen red roses and a bottle of champagne or wine, two Goldmoor keepsake goblets and a 60-minute side-by-side Swedish massage in their couples’ spa room. All guests receive a complimentary drink of Prosecco and the option of a mini heart-shaped strawberry cake. Plus, guests will enjoy a three-course gourmet breakfast each morning, complimentary snacks, and WiFi. Fall in love all over again at the Royalton West Midtown. Enjoy a special deal at $209 per night. For a more exclusive experience rates starts at $2,800. (Deal is for two people/chef/musician) Doesn’t include overnight stay. 7 nights/Cruise – when booking with CruCon you receive on Valentine’s Day, Champagne Balcony breakfast for two. Travel Deals for Black Friday and Cyber Monday 2017!